It’s a black period for Brazil’s environment, and things will get even worse in days to follow; the government just applied (2011) a reform of the forestry code which will make it extremely easy to cut down massively on the rainforests in Brazil. 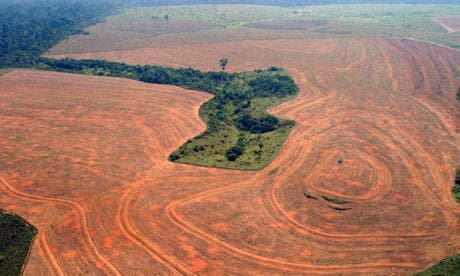 Deforestation in the Amazon has skyrocketed in the past half a year, according to analysis of satellite images issued by Brazil’s non-profit research institute,IMAZON. The results compared the deforestation in a particular month with figures from the same month a year before, and the difference ranged from a 136 per cent increase in August to a 467 rise in September. This entry was posted in Uncategorized on March 1, 2015 by Dr Raziq.